Orange County Cosmetic Surgery Clinique Before & After Facelift 1 - Left is a result of Dr. Mohsen Tavoussi's skills as a Cosmetic Plastic Surgeon. Orange County Cosmetic Surgery Clinique Before & After Facelift 1 - Front is a result of Dr. Mohsen Tavoussi's skills as a Cosmetic Plastic Surgeon. Orange County Cosmetic Surgery Clinique Before & After Facelift 1 - Right is a result of Dr. Mohsen Tavoussi's skills as a Cosmetic Plastic Surgeon. Orange County Cosmetic Surgery Clinique Before & After Facelift 1 - Left Quarter is a result of Dr. Mohsen Tavoussi's skills as a Cosmetic Plastic Surgeon. 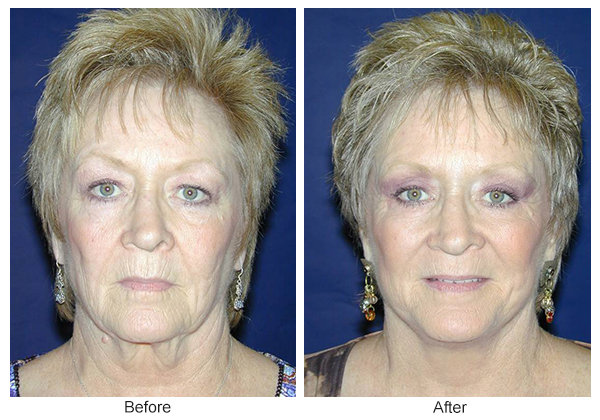 “My facelift procedure went smoothly and very well planned thanks to Dr. Tavoussi and his kind staff. From the first consultation we had – and it was for free – till the procedure’s date, everyone in OC Cosmetic Clinique Surgery was trying to make me feel comfortable and safe which I personally believe is very important before you go under knife.